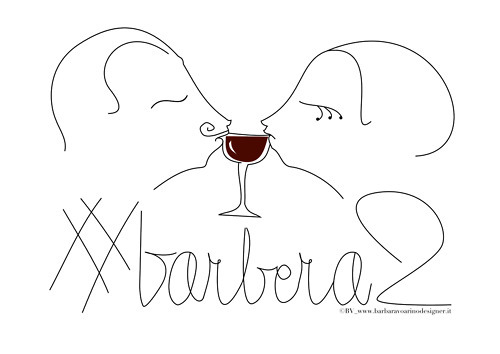 Tomorrow (or probably today when you read this) I will be guest at the #Barbera2 wine tasting event, together with my wife and some friends. Why? How? Once you fully understand Twitter and you are really interacting anything can happen on/via Twitter. So it came that (on a photo) I recognised a bottle of wine in the arms of an Italian Barbera-producer visiting a Dutch tweep (Twitter-friend) and wine-importer. I tweeted all details of the wine (had a pic of the label on my iPhone) so both men were impressed, as a result the wine producer and I started following each other on Twitter and Facebook. I'll bring my iPhone and iPad along, so via Twitter and Facebook you can follow what's happening! I even believe there will be a Live Stream covering the event on the Internet, I'll tweet the link as soon as I have it.